Is It Safe to Undergo Physiotherapy During Pregnancy? Physiotherapy is used to treat a number of different issues with men and women. It is designed to help with the pain caused by injuries or conditions that the body may have suffered from. Through exercise, stretches, massage and electrotherapy, you can manipulate the areas in pain, creating stronger muscles and strengthening the weak areas. Pregnant women often suffer from multiple pains. Back issues are one of the most common. Nearly 70 percent of women suffer from back pain during their pregnancy, and sometimes this back pain can be unbearable to the point where it hinders the woman from living their day-to-day as normal. Everyday tasks become much more difficult, and sleeping becomes more restless. Fortunately, physiotherapy can be used during pregnancy. The treatments will enhance the body’s mobility, making for a much smoother pregnancy and labor. After you have found the right physiotherapy clinic to go through for this treatment, tell them of the pain you are suffering from. They will examine the areas and decide on the best physiotherapy regime for your circumstances. Usually the physiotherapist will set their focus on your posture, joints, muscles, flexibility and nerves. It’s important that as a pregnant woman, you are getting enough exercise. Remaining mobile unless otherwise specified by your physician, is very critical. The mobility of your body will help decrease the amount of pain you suffer from. This is when physiotherapy works its magic. All physiotherapy treatments are different. They are customized to the person being treated. During your pregnancy, the physiotherapist will need to be more cautious about the exercise and treatments used with your physiotherapy. Nevertheless, they will design a strategic plan just for you. Physiotherapy will greatly reduce your pain. Pain, especially in the lower back, is the number one physical complaint from pregnant women. It’s very unlikely that you won’t experience any pain during this time. Fortunately, physiotherapy will help lessen the pain while actually setting you up for an even easier labor. The process of labor can be prepared for ahead of time. Not enough women care to prepare for the most difficult part of a pregnancy, but is very important. The strain you go through during labor can greatly affect the baby, and it is always best to be prepared for the big day. 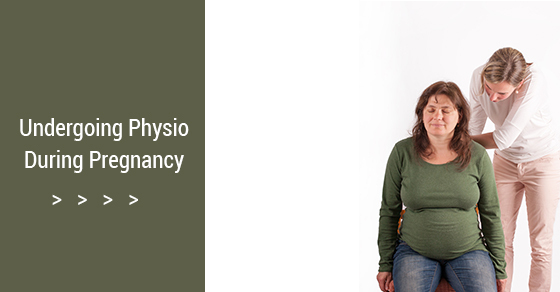 If you are pregnant, ask about physiotherapy especially if pain is becoming frequent and unsettling. Don’t allow yourself to suffer. For more information, contact our team directly today!